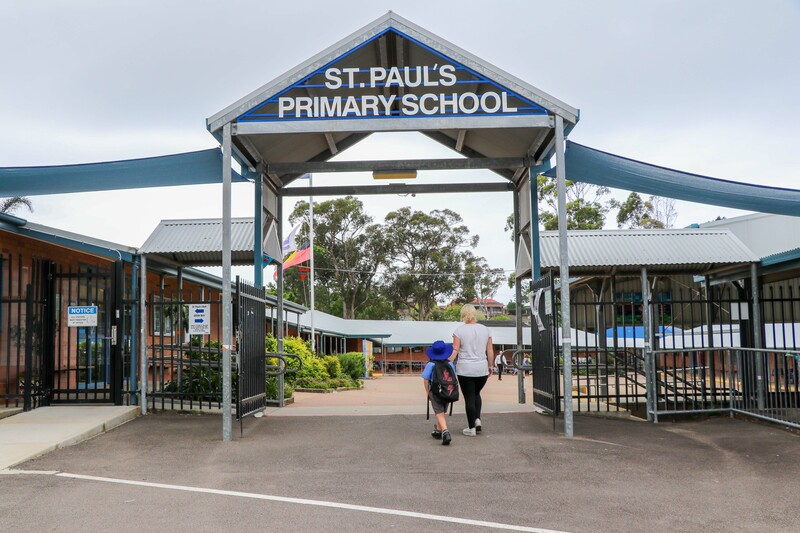 For information about St Paul's school bus services click here. Type in St Paul’s and you will see an interactive summary of each bus that services the school. Please ensure that your child has an Opal Card. Children are reminded to Tap On and Tap Off. The data collated from the use of Opal Cards is the primary determiner in having additional services put on our network. Each afternoon a St Paul’s teacher walks a group of our students to our sister school, St Mary’s Catholic College, to meet older siblings. Students may be dropped off in the school carpark’s ‘Kiss ‘n’ Drop’ zone beside the Dance School. Please note that the ‘Kiss ‘n’ Drop’ zone does not operate in the afternoon. In the afternoon, parents must park their car and walk into the school to collect their children. Please do not stop or park in the no-parking zones within the school carpark, or the bus zone in front of the church during the signposted hours. Please drive safely in the school carpark at all times for the safety of the whole school community. Walkers can enter via Felton Street, Stafford Close, or Alvestor Close. They are encouraged to use designated walking paths at all times, especially in the school carpark.